Light refreshments and networking at 8:45 a.m. Presentation and discussion begin at 9:00 a.m. The Crook County Nonprofit Resource Round-Up is a learning and networking opportunity convened by the Nonprofit Association of Oregon for nonprofit staff, board, and volunteers to connect, meet funders, and learn about valuable tools and resources designed specifically for nonprofits. This Resource Round-Up and similar events in other locations are made possible with support from The Ford Family Foundation. For questions about this event or help with registration contact at training@nonprofitoregon.org or at 503-239-4001 ext. 123. Yvette Rhodes supports the development and administration of programs and grants for both the Ford Institute and the Community Economic Development departments. Yvette, who came to the Foundation in 2003, manages the Technical Assistance Grants program. She grew up in Douglas County. She has an associate’s degree from Umpqua Community College and is finishing a bachelor’s degree in business administration. Yvette is married with five children and two grandchildren, and enjoys outings with them, especially camping in the summer. She has served on her town’s school foundation board since its inception in 2005. Bart Hadder served as a program director at the M.J. Murdock Charitable Trust from 2001 – 2015 where he reviewed grant requests from numerous nonprofits in the Northwest, administrated grants, and directed a research program for science teachers. Since his retirement from fulltime work he has continued serving the nonprofit community through consulting, presenting, coaching leaders and boards and doing special projects for the Murdock Trust. Prior to joining the Murdock Trust, Bart’s first career involved serving as a science teacher both at the middle and high school levels and as the K-12 science coordinator for the Beaverton School District in Oregon. He is a graduate of the University of Washington and earned his master’s degree at Portland State University. Bart and his wife, Jackie, have two grown children and two grand children and live in the Vancouver, Washington area. 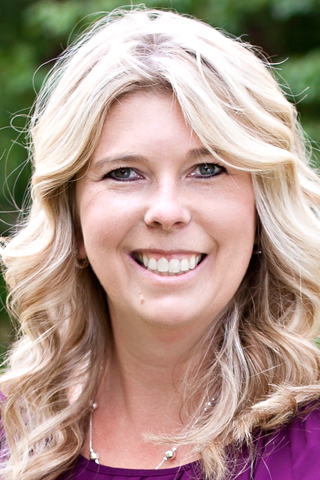 Adrienne Graham is a Senior Consultant for Central Oregon at the Nonprofit Association of Oregon. Based in Sisters, Adrienne has worked with nonprofits for over 12 years as a nonprofit executive director and 20+ years of providing training, consulting and facilitation to the public and private sectors. Prior to joining NAO, Adrienne owned Leapfrog Training & Facilitation, a consulting firm that provided strategic planning, leadership development and organizational effectiveness services to nonprofits, community groups and associations, including NAO.